The belief is that once you’ve achieved #1, #2 will be that much easier. With criteria that restrictive, how can any marketer really expect to have their brand recognized as a thought leader? 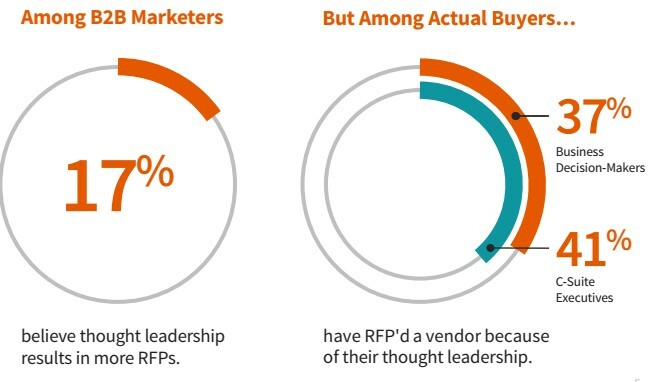 No wonder research from LinkedIn found that only 17% of B2B marketers believed thought leadership resulted in more RFPs. Is it really that bad, though? Are the majority of us just spinning our wheels? I don’t think so, but more importantly, buyers don’t either – and I’ve got the data to prove that thought leadership connects to pipeline. How reassuring is that? 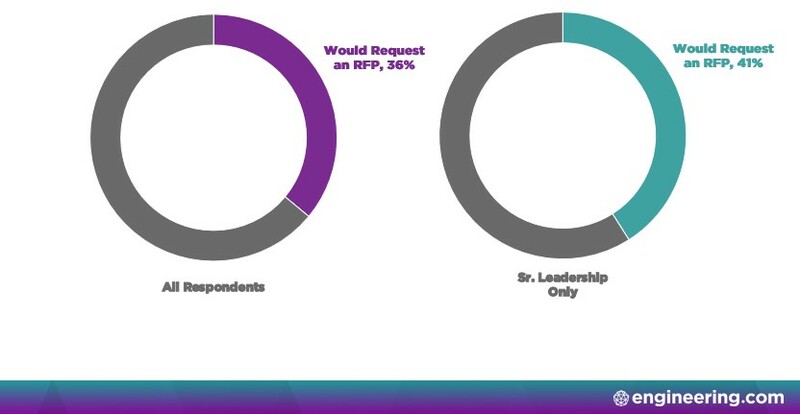 Buyers are more than twice as likely to have requested an RFP based on thought leadership, and that figure is even higher for C-Suite Executives. Unsurprisingly, LinkedIn also found that there was a gap between marketers and buyers in the belief that trust is built through thought leadership. According to their research, about 50% of marketers think thought leadership builds trust – for buyers: 83%. The takeaway for marketers: Believe in yourself and what you’re producing. Trust you’re doing the right thing. Quick aside: I want to give a big shout out to Ty Heath of LinkedIn who put this topic on my radar during her talk at the Inbound 2018 conference. She gave a great talk brimming with useful information for marketers. I recommend giving it a watch on YouTube. It’s great to know that B2B buyers believe in thought leadership, but what about our world? 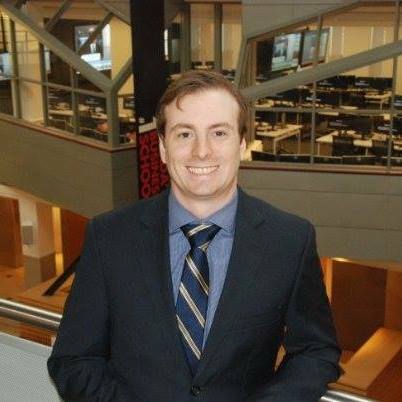 As I’m sure we’re all well aware, engineering professionals have limited interest in the labors of marketing. In fact, research that engineering.com performed a couple years ago found that marketers were the people engineers least trusted to provide them with quality engineering information. So, engineers aren’t the biggest fans of marketers, but what about the thought leadership content we put out? To answer that question, we asked engineers directly as part of this year’s How Engineers Find Information Survey (we’ll be presenting the results in an upcoming webinar December 6th). That’s nearly identical to LinkedIn’s findings, which is what you want when trying to replicate research. It’s nice to see the same numbers also replicate across senior leadership, again verifying that senior people are even more open to making purchasing decisions based on thought leadership. Given this, I think its safe to say that the prospects we’re looking to build trust and buying interest with do in fact turn into pipeline thanks to thought leadership content marketing. It’s also interesting to consider the other side of the equation, those who said it’s “unlikely” or “very unlikely” that they’d put in an RFP based on thought leadership. Only 26% said it was unlikely, meaning that another 38% chunk of engineering professionals are at least open to it. So Why Don’t Marketers Believe in Their Own Thought Leadership? That’s a pretty high bar, especially when its hard to verify. How many of us can confidently check off all those boxes? As marketers, sometimes we can fall into a trap of thinking that someone else is more externally recognized or more knowledgeable about the very topics we write about. Our content must be somehow inferior, and therefore unlikely to generate interest from buyers. It’s the content and the ideas that matter most though, right? That’s what we’re seeing in the data. B2B buyers trust good content and make decisions based on it. 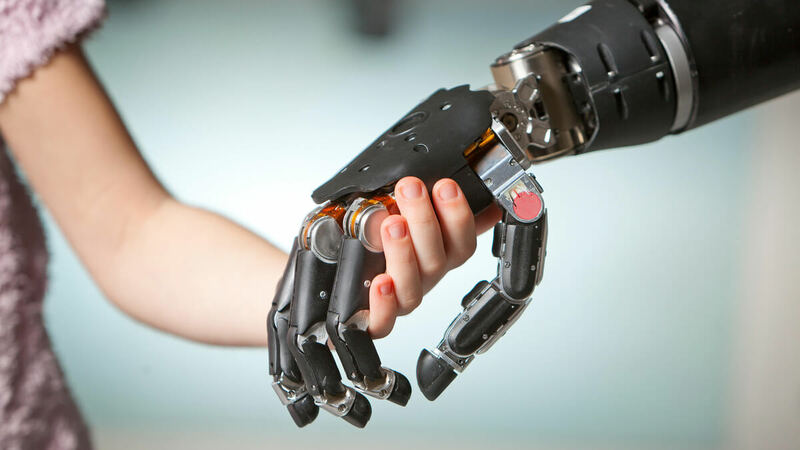 Not everyone is a hero, but we’re all capable of doing heroic things; likewise, we’re not all recognized thought leaders, but we can produce thought-leadership content. The buyers believe in us. We should too.